Blogging is one of the effective ways to share your knowledge and make money from home. It will unlock new opportunities, boost relationships, and make you learn new things. Starting a blog is not a difficult task. Anyone can start a blog by investing a nominal amount and connect to the world. But keep in mind that the success of a blog depends on the hosting service you choose. A hosting provider is a key player in any online business. So you should choose a hosting service carefully who can deliver your pages fast and with 99.99% uptime. As you know, the webpage speed mainly relies on the technology standards adopted by its host. If they are not up to the mark, your efforts will fail. There are several hosting providers on the web and you have to find which is the best for you. When considering speed and reliability, HostGator is the best. They are the leading players in the hosting industry for the last 15 years and host more than 8 million domains at this moment. I think these statistics are enough to prove their credibility and quality service. HostGator’s plan charges are affordable even for the beginners. In this post, I will show you how to start a blog with HostGator. 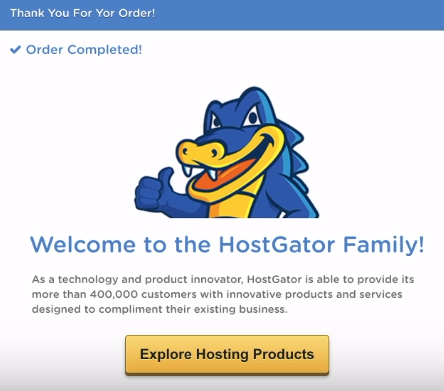 HostGator has three types of plans to host your website. 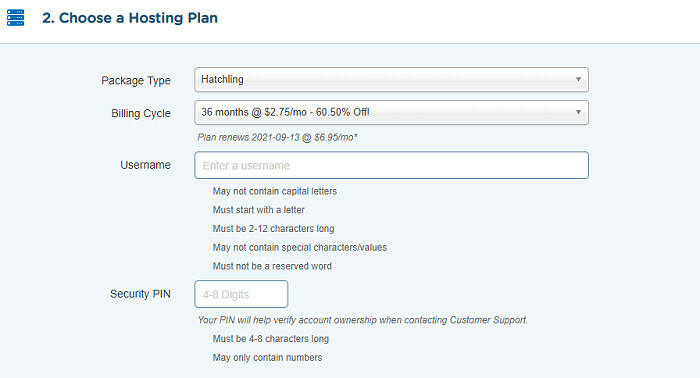 Hatchling Plan comes with a single domain hosting, unmetered bandwidth, and a free SSL certificate. 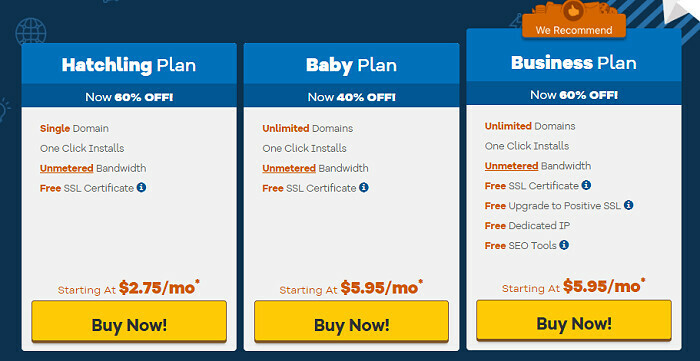 If you are planning to launch multiple blogs, go for Baby Plan where you can host unlimited domains and it costs you just $5.95/mo. Single domain users can start with the Hatchling Plan. You can upgrade to the higher plans whenever you need. Choose your plan and click the corresponding Buy Now button to proceed. Now you will get a registration form to set your domain name, username, and add the billing details. Enter your desired domain name for the blog. Choose the domain extension from the drop-down box and HostGator will scan the records immediately and let you know whether the domain is already registered or not. If available, it will be automatically added to your cart and you can proceed to the next step. Click I already own this domain tab on the top-right side to host your existing domain. Type your domain address in the text field. Scroll down to select your hosting plan and billing cycle. HostGator provides different types of billing cycles from 1 month to 3 years. A long tenure will give you a huge discount on payment and lets you save the money. Choose your billing cycle after considering discounts they offer and money in your wallet. Set a username and security PIN for your HostGator account. Fill up your email address and other contact details to update the records. HostGator accepts payments by credit cards and PayPal. Enter your billing info and go to the final step. All hosting plans of HostGator come with a free SSL certificate that will make your blog more secure and boost the search engine rankings. Choose additional services like SiteLock Monitoring, Professional Email, Backup and SEO tools to enhance the level of your blog. Scroll down again and you will find an option to enter a coupon code. Enter our exclusive coupon code “BloggingTriggers60” here to get an amazing 60% discount on your order. The offer is applicable to all HostGator products including hosting, website builder, and others. You will see the changes reflected in the final bill which you can check at the bottom. Agree to the HostGator’s terms of service. Click the ‘Checkout Now’ button to process your payments. Wait for a few seconds to see a confirmation message in the screen. Once the payment is made, HostGator will send login credentials to your email address. It will contain the username and password to login to HostGator portal where you can buy new packages as well as maintain the existing products. Next, you need to install WordPress on the domain. Visit your HostGator dashboard and choose ‘Install WordPress’ button under the Hosting tab or Home screen to begin the process. Select your domain from the drop-down box and click Next. Type a title for your blog, admin username, email, and click the Install button. It will take just a few moments to finish the installation. HostGator will send your website credentials, name servers, and server IP address to the registered email address. If your domain is registered with any other domain name registrar like Namecheap or GoDaddy, sign in to your domain account and replace the default name servers with the HostGator name servers (provided in the last email). HostGator domain customers can choose the ‘domains’ tab in their account portal to update the DNS records. Tap settings icon of the domain, select DNS and point it to the new destination. It will take some time to update your name servers. After that, you can log in to the WordPress blog using the credentials provided in the last email. You have successfully created a blog on HostGator. If you are facing any issues regarding hosting and website management, contact HostGator directly from your dashboard. Support is available in three modes on 24 x 7 basis- phone, live chat, and tickets. 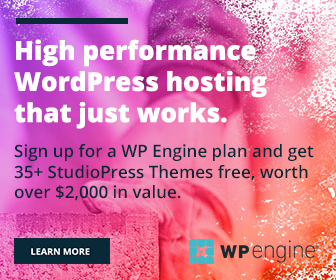 Don’t you know what to do after installing WordPress?